Remember that one poem I shared that I was Caps-Lock-talking over in the tags of the post? 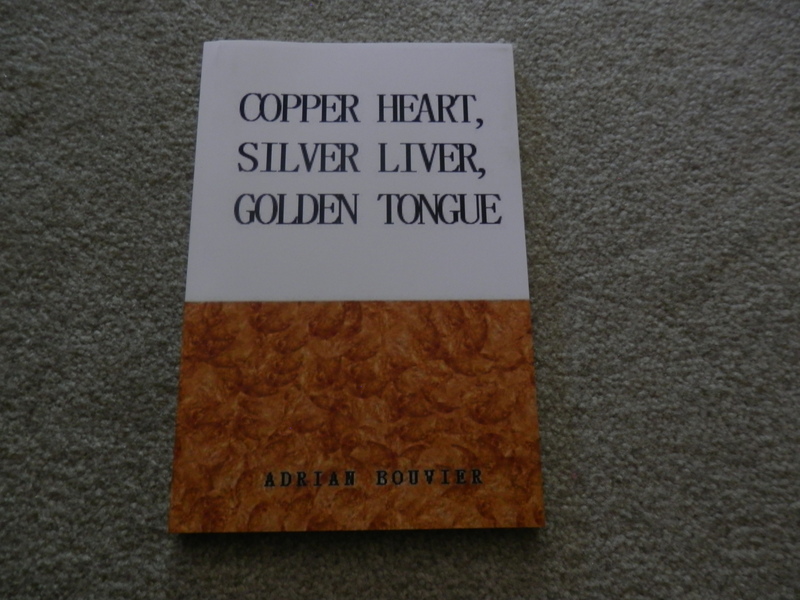 That was from this book by Adrian Bouvier, so I decided to buy it. I sorta had mixed feelings about this one at first. It’s vague and often hard to pinpoint who the narrator is. 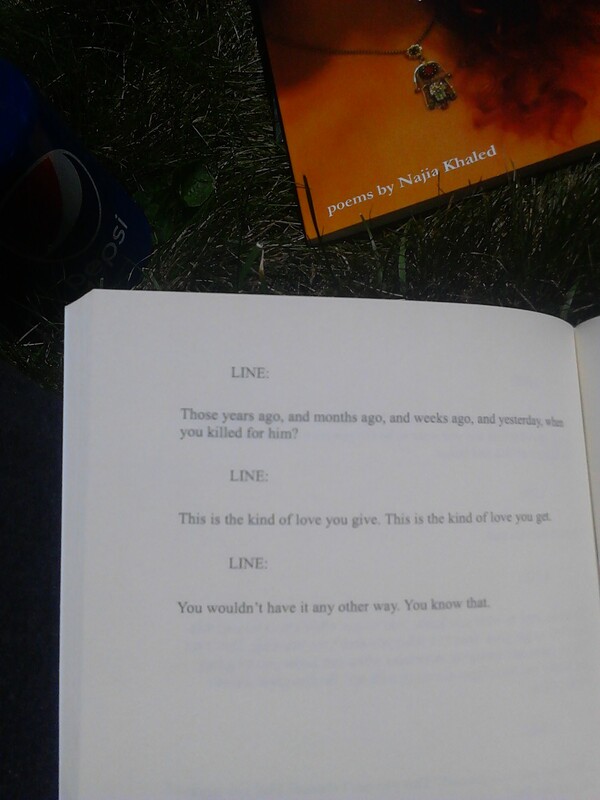 But it sort of tells the story about a mobster, his boy, and his lady, and their destructive love for each other. In many ways, bits of this remind me of my UMY garbage court, because of their murderous nature and fierce love. 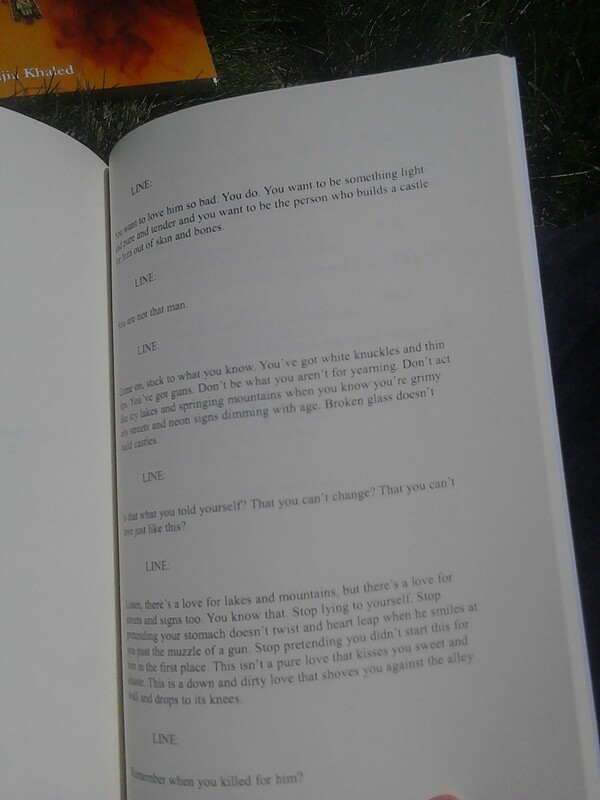 I finally managed to go outside to read this time. 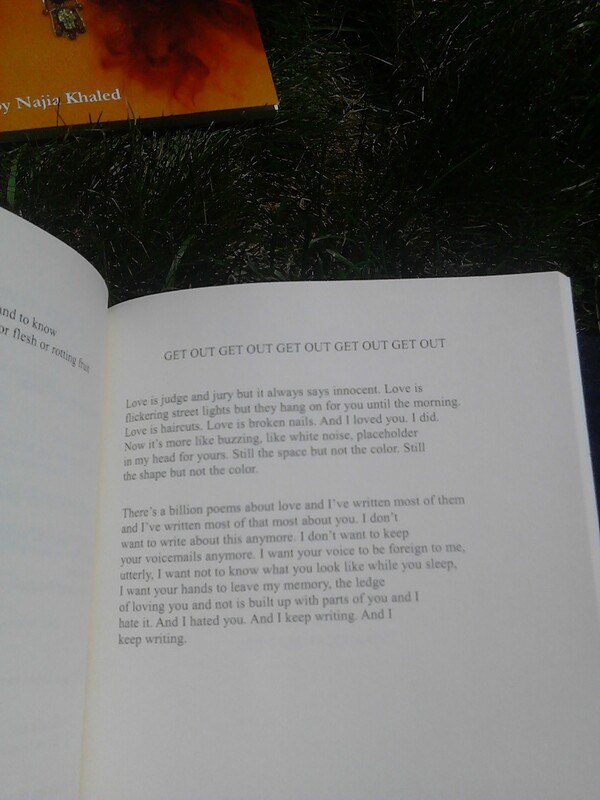 As the collection nears its end, the poems get better, in my opinion. It talks a lot about life and death and memory and meaning and all things I often think about when it comes to my own writing. As far as I know, Amazon still has free shipping with at least $25 of books, and I’m all about free shipping. So if this sounds like your kind of thing, check it out. 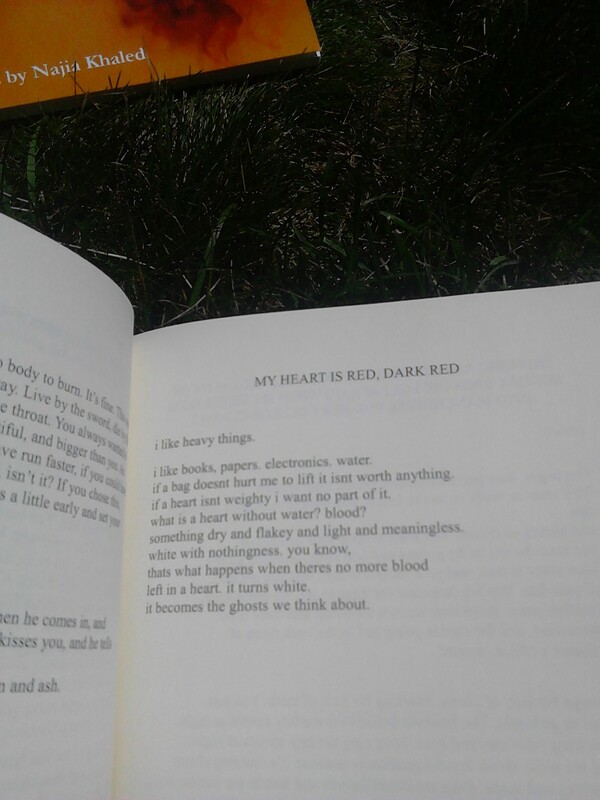 This entry was posted in ghost speaks and tagged cw: blood, cw: death, cw: guns, cw: murder, cw: organs, ghost reads poetry, ghost speaks on July 19, 2016 by ghostofgatsby.